As I see everyday the beauty of flowers that bloom for a day, as I see the seasons change ever so subtly to bring a new song to birds, I think how subtle and changing every aspect of life is. It is delicate and transient. To appreciate it calls for a great sensitivity and willingness to accept change. After all, life seems to paint in delicate water colours, easily washed away. Not with permanent markers. It isn’t too hard to know it, but to accept it calls for great serenity on my part. Akbar, the semi-literate but wise emperor, carved at the entrance to his Fatehpur Sikri fort this message :”The world is a bridge, pass over it, but do not build upon it”. Everything moves and changes, but I hold on, asking for things to last for ever, to be the most intense they can be, and lose all subtlety. How insensitive all this makes me indeed! I think Indians are particularly fond of holding on to things. We are also forsaking subtlety for hard impact. We make and preserve masalas, (the most processed of all food stuffs, and going beyond seasonality and subtlety) and garnish everything with tons of salt, ghee and sugar. We have moved away from subtle chamber music to stereophonic cacophony. We now wear polyester dhotis and Chinese nylon sarees. We have thrown away our woven straw mats and hand painted wooden toys for a plastic world. No more oil lamps. It’s all neon, my dear. Temples and function halls are garishly decorated with plastic flowers. What a mega-maha confession of lack of subtlety and true aesthetics! Just remembered how even great Carnatic musicians have produced albums garnished with pathetic orchestral embellishment. Life paints in water colours. Here today, gone tomorrow. Living in the moment calls for an aliveness that I must again cultivate. I was born with it, but have lost it in this make-believe world! The picture at the top is my way of going back to subtlety. 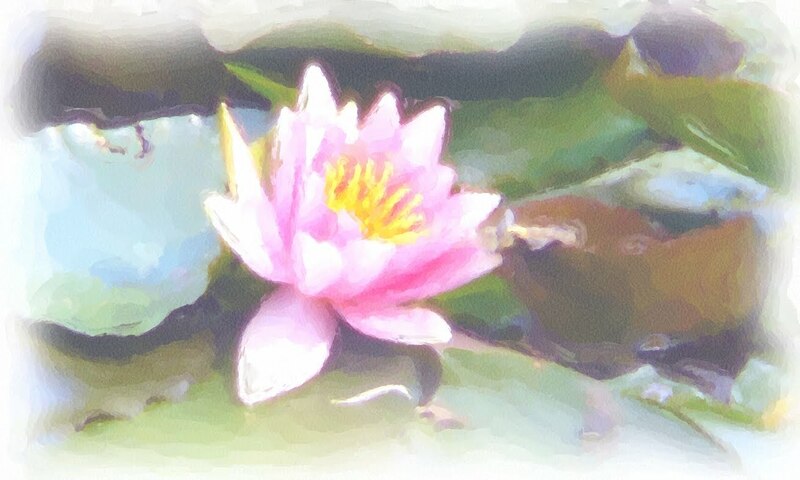 It is a water colour rendering of the original photo I took at Monet’s impressionist garden in Giverny.